Aquafine watercolours are made from a selection of modern high-quality pigments milled to perfection to offer optimal performance and control. 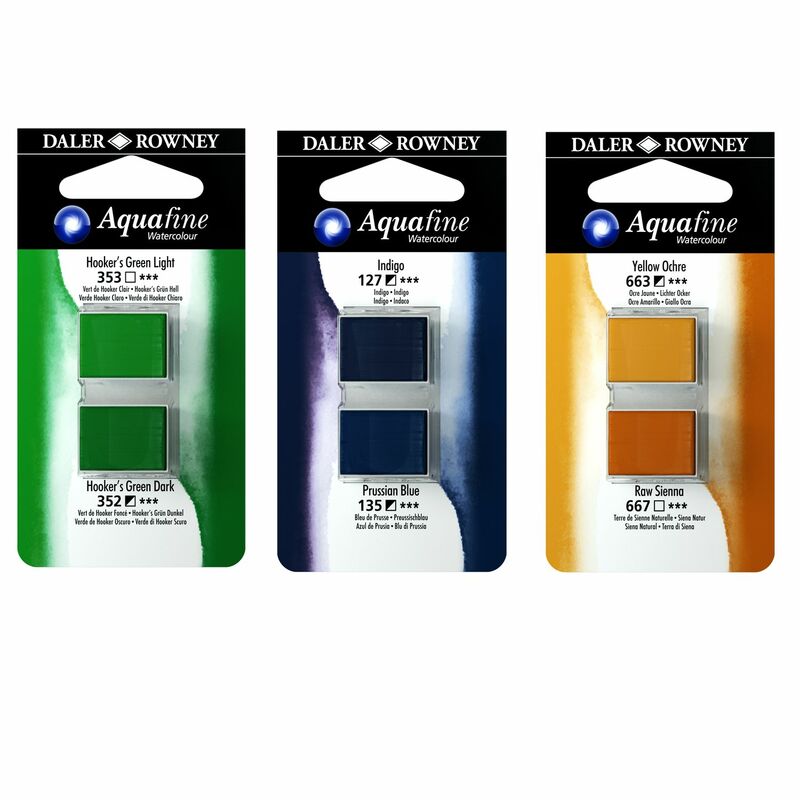 Aquafine watercolours are rich, free-flowing transparent colours with excellent tinting strength and working properties that reliably produce beautiful, delicate washes. With a comprehensive palette of 48 colours, Aquafine boasts the largest range of colours in its category. Together with Aquafine Gouache and Watercolour Ink which have been formulated to the same high specifications, Aquafine Watercolour, mediums, brushes, pads, and artboards offer artists of all levels of expertise a complete watercolour suite of perfectly compatible products.